It’s that time of year again folks, this time last year I shared my top Android Apps for 2012 and it has remained one of my most popular posts (based on views and unique visitors) throughout 2013. Clearly you lot like these types of posts, so I figured I’d publish a new one for 2013! This year I’ve spent a lot less time with rooted devices. This is primarily due to the fact I’ve trialled a lot of devices that didn’t belong to me and was therefore not permitted to root them. With that said, any root apps I do share will be highlighted with an asterisk*. 2013 has been an incredible year for applications. I’ve seen and used some absolutely fantastic apps and games that I’m looking forward to sharing below, but at the same time you’ll see some duplications from last year. A lot of my favourite apps of 2012 have only improved throughout 2013, it’s only fair I share them again. 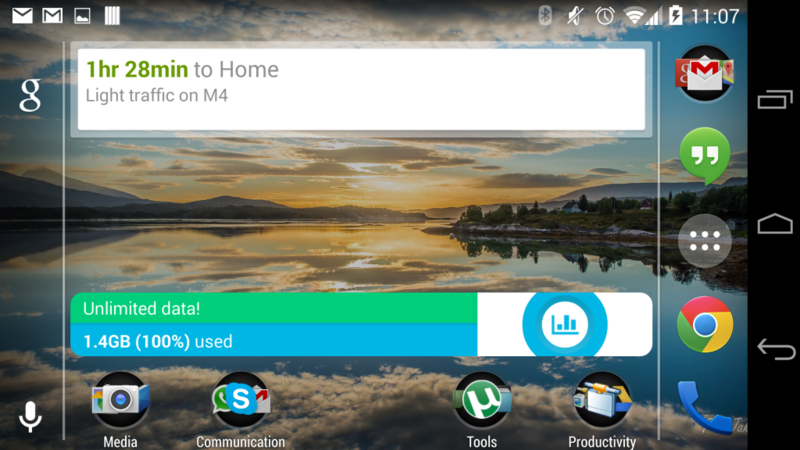 Helium (formerly Carbon) backup is the brainchild of Koush, the creator of ClockworkMod and co-founder of CyanogenMod. 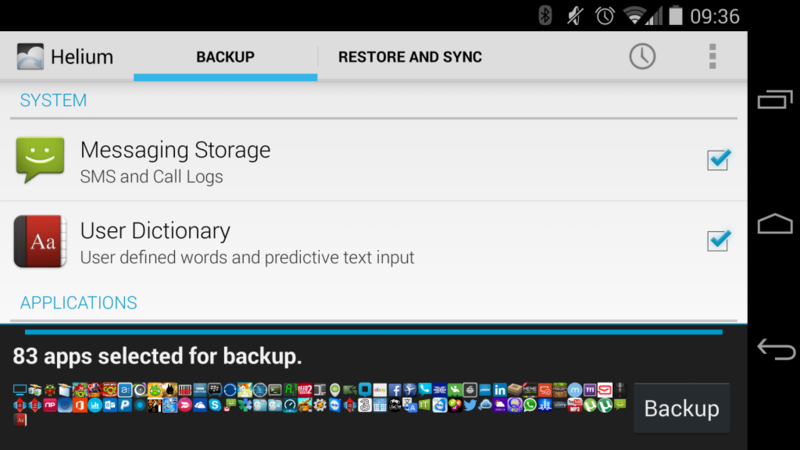 It is a no-root solution for backup and synchronisation of applications and data between devices and is literally the best Android backup solution I have used to date. Helium boasts scheduled backups, backups to cloud storage and app sync. Have you been through the annoyance of backing up your applications, transferring the backup to a new device and manually restoring everything? That’s no longer an issue. Helium will allow you to make a connection between two devices running the Helium application and synchronise both apps (where permitted) and app data from one to the other with almost no intervention. Some applications do not allow backup and restore, so Helium will offer a link to the app on the Play Store which, after installing, will then sync the app data. I’ve been using Helium since beta and then opted to pay for the premium version when it became available. With the amount of devices I go through on a regular basis, Helium is crucial to being able to pick up on one device exactly where I left off on another. As mentioned, Helium is a no-root solution. It requires a desktop application to enable backups whenever the device is rebooted. For rooted devices this is not required, Helium just works. Solid Explorer made a brief appearance in my previous post as an up-and-coming file explorer. Well, a lot can change in a year and Solid Explorer definitely has! Out of the box you’re greeted with a simple explorer view, however swiping left or turning your device to landscape reveals a wonderfully useful second window. If nothing else, this makes Solid Explorer really useful for copying and moving files. Add in the ability to connect to remote shares, FTP sites, and other cloud storage solutions and you have a very simple method of copying and moving files between all of your different solutions. Solid Explorer works very well and I highly recommend it. Still at the very top of my favourites list a year later, Disk Usage is a very simple, handy application that provides a graphical overview of what’s using your storage. It allows you to select your storage medium (internal, external, etc) on launch and will show you where all of your storage is going down to file-level. You’re able to delete from within the app, but as a precaution it may be worth double checking what you’re planning on deleting through a filebrowser before doing so. 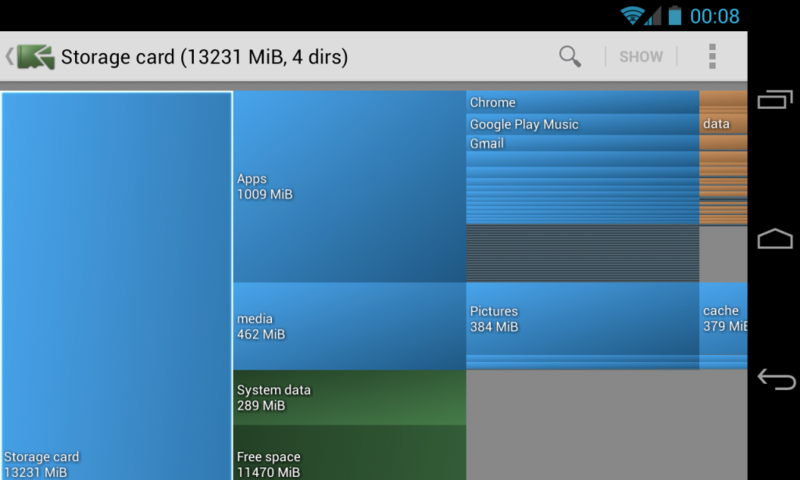 Disk Usage is available free in the Play Store. This is never going to change. Thumb Keyboard is literally the most-used application of any app I’ve ever installed. I’ve tried so many keyboards over the years, including (but not limited to) Swype, SwiftKey, the stock keyboard of various Android versions, SlideIT and most recently Minuum, but nothing works as well as Thumb Keyboard for me. 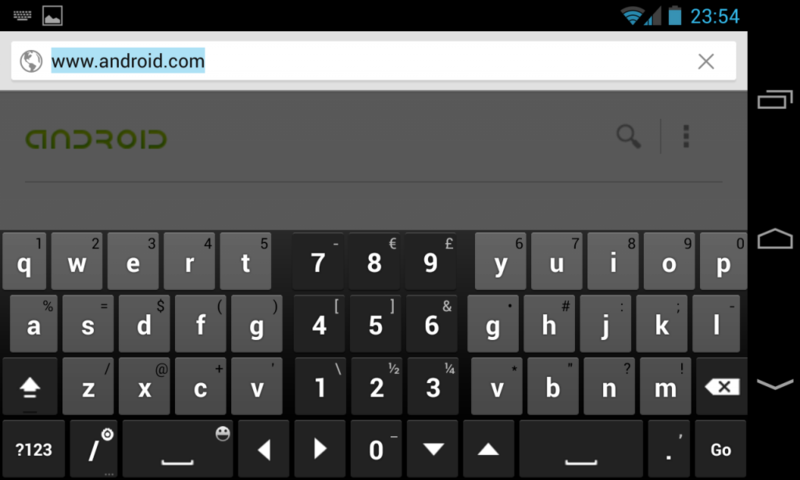 Thumb Keyboard has typically always been known as a tablet keyboard. More recently however they’ve been adding support for more and more screen sizes. The layouts can be customised both in shape and style and work really well for thumb based typing on several devices I’ve installed it on. Naturally the right keyboard is different for every person, however for the larger (4.5″ +) devices, I recommend giving this one a go. Here are the default settings I use (save to SDCARD/ThumbKeyboard). Import them from the settings menu. (Note: I type fast, hold the key too long and it’ll jump to another character). Try it both with and without my settings if you’re going to try the app. Thumb Keyboard is available for $1.22 during a 50% off period in the Play Store. 500 Firepaper is a relatively new application from ChainFire, the developer renowned for his ability to root almost anything! This app basically provides only one function – wallpapers from 500px. You can choose the categories, the speed at which they update and 500 Firepaper will do the rest. It’s worth noting this app can consume quite a lot of data depending on the settings you choose. Since the 26th of November, it has used 126MB of my mobile data, based on a 60 minute rotation of wallpapers. Make sure you’ve selected update over WIFI (I’ve checked it for reference above) if you’re on a data limit. I haven’t noticed any impact on battery life as yet which is typically always a worry with these sorts of apps, and personally I quite like the random wallpapers that pop up now and then. I’ve never been one to go off looking for wallpapers to use intentionally, so having wallpapers that update quite often is a nice change. 500 Firepaper is available free in the Play Store. I’ve been using Nova Launcher for a few years. It’s helped me to partially escape the horrid skins forced upon me by device manufacturers and has always provided a little more flexibility than stock Android launchers. There’s not an awful lot to say about Nova that hasn’t already been said, so I’ll keep it short: this launcher is excellent. To me, it trumps all others on the market at the moment (ADW, Apex, Go launcher, Action launcher, Aviate, etc) and I can’t see that changing any time soon. I’ll be honest, I’m not a massive gamer, having just picked up my first proper Xbox 360 for no other reason than to try GTA5. The same applies to my phone(s). I rarely game, but when I do it’s because the game is fantastic. 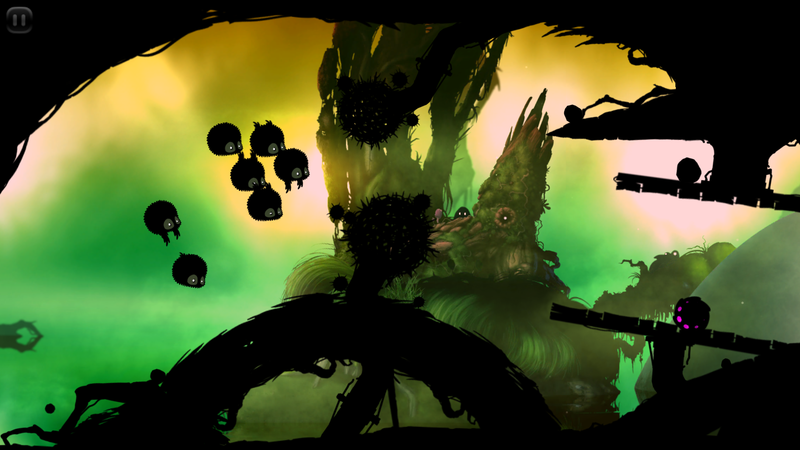 BADLAND is one of those games. I just happened to come across it as a recommendation from someone on Google+ and figured I’d give it a go. I very much like physics-based games and this one ticks all of the boxes. The game is simple in practise: you have to fly a round bat-thing from the start of the level to the end, avoiding rocks, falling objects, exploding alien balls, circular saws and more. The in-level power-ups help you to achieve this if by no other means than cloning your bat several times and providing contingency against losing a few of them to a giant hammer, etc. 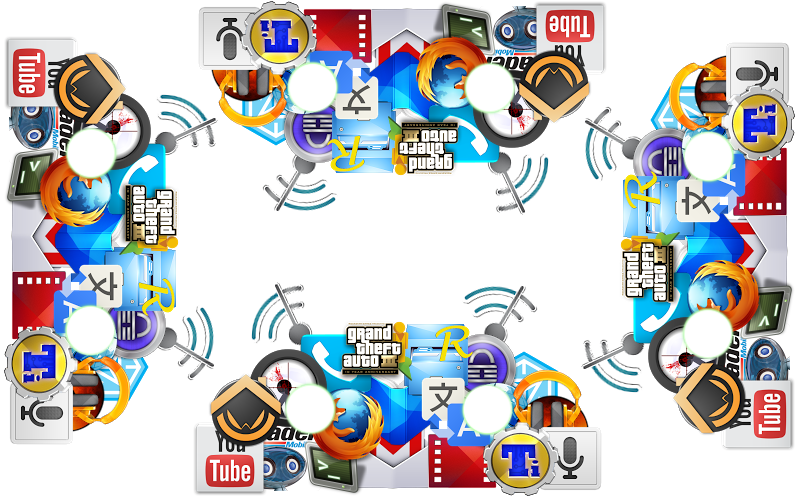 The game uses a freemium model, forcing you to sit through ads and videos between levels. You can pay to remove ads for $0.99 and a whole new set of levels for a few dollars more. You can get BADLAND from the Play Store. Although I could go on all day about the various apps I use for different things, I think the above sums up my favourite apps of 2013 generally. These are apps that I have spent a fairly substantial amount of time using and felt were worthy of a mention. 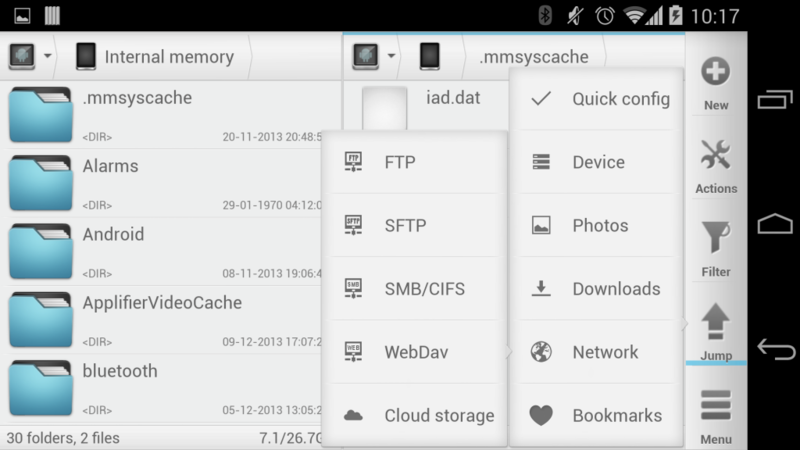 Do you have a list of favourite applications? Sound off in the comments or share them with me on Google+.